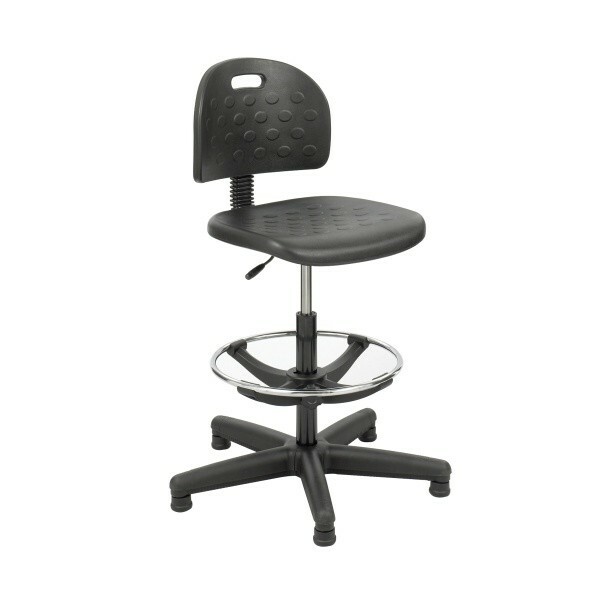 Safco WorkSpace Chair - GS Direct, Inc. Features normally only found on more expensive seating combine to make this chair adaptable to a variety of users at a more economical price. Pneumatic seat height control. Features include backrest height and depth adjust with ergo knobs and adjustable 18" footring. Durable 24" steel base with black nylon shell coating and nylon pods. Black microcellular, self-skinning polyurethane foam seat and back. Pneumatic height adjustment from 22" to 32"